Celebrating its 15-year anniversary, the California Giant Berry Farms/Specialized team announced today the 12 riders that will contest the 2015 road season. Additions this year include two riders who were top five at the 2014 UCI Junior Time Trial World Championships. Continuing on its mission to develop the next generation of professional cyclists, the roster includes nine under-23 racers, one junior 17-18 rider and two mentors that will provide leadership on and off the bike throughout the year. “The California Giant Berry Farms/Specialized team is proud to be one of the longest-standing programs in the United States. We have won over ten national road championships. Our catch and release model continues to be successful with two more riders moving into UCI Continental teams this year. 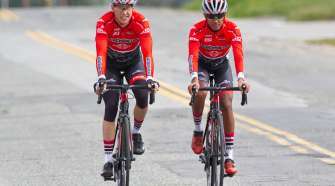 We are excited for both Yannick Eckmann and Justin Oien as they take the next step in their professional cycling career,” Anthony Gallino, Team Manager and VP of Sales for California Giant, said. Past national champions include Max Jenkins (2007 U23 Road), Ken Hanson (2008 Elite Criterium), James Mattis (2008 Elite Road), Justin England (2009 Elite Criterium), Steve Reaney (2010 Elite Criterium), Andrew Talansky (2010 U23 Time Trial), Evan Huffman (2012 U23 Time Trial), Stephen Leece (2013 Elite Road) and Logan Owen (2014 U23 Road, 2013 Junior Road, 2013 Junior Criterium). Mattis won the 2012 Masters Road World Championship. During this period, the Team also claimed multiple cyclocross national championships. Teaming up with Specialized, the California Giant Cycling team will be riding the S-Works Tarmac SL4, Venge, and Shiv TT. “We are really looking forward to 2015 and once again partnering with California Giant to build on their successes on the road. With access not only to our best products but also (and importantly) Body Geometry fit and expertise which helped our Global programs have such an awesome year at the Tour, Vuelta and World Championships. With some of the best young talent in the US it’s going to be a great season,” Gavin Noble, Specialized USA Sports Marketing Manager, said. The team will also be on SRAM Force 22 group sets, Zipp Wheels & Quarq power meters. “We’re glad to be back supporting the ‘Berries and their goal to cultivate road racing’s next generation of professionals. At SRAM we believe in constant and determined development and our product leaders have been hard at work refining the tools the team needs to take the 2015 season by storm,” Alex Wassmann, SRAM Global Road Sports Marketing Manager, stated. Riders joining the Team in 2015 are Jacob Albrecht, Adrien Costa, Jake King and Zeke Mostov. Reigning junior 17/18 time trial champion, Costa, claimed the silver medal at the 2014 UCI Junior Time Trial World Championships. Mostov finished fifth at the same event. 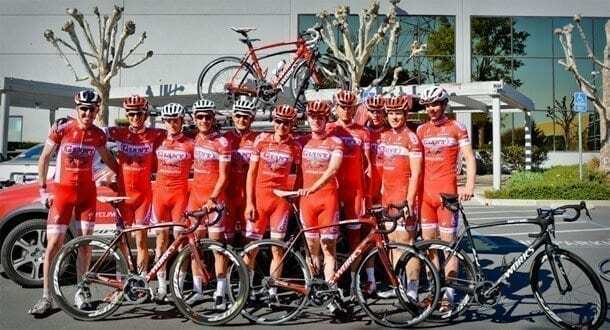 “I can’t wait to spend the next season with the California Giant Berry Farms/Specialized team. 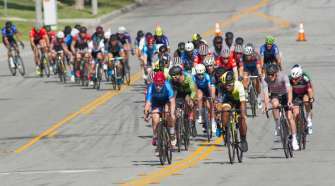 With such a talented roster, a great support system for domestic and international racing, and an extremely valuable and beneficial relationship with Specialized, I know it’s going to be a great year,” Costa noted. 2015 will be his final season racing as a junior. “I am honored to be on this reputable program that has been around for quite a while in this sport of short lived teams. I believe that California Giant provides me with the best possible balance of opportunities to develop as an athlete and a person. Also, importantly, their strong partnership with Specialized is unique and will provide me with the absolutely best tools possible to excel at racing, particularly time trials. The roster is not only very strong, but also a fun group,” Mostov commented. Returning riders include Ansel Dickey, Colin Joyce, Tobin Ortenblad, Torey Philipp, Brendan Rhim and Benjamin Wolfe. Also back are Stefano Barberi and Jared Barrilleaux who will bring their years of experience to the team as rider-mentors at the national caliber races. “2014 was definitely a huge building year for me. I went from fighting an injury, to wearing the best young rider jersey for four days at Nature Valley and placing third at the National Time Trial Championships. Anthony and California Giant Berry Farms/Specialized run an amazing program that not only gives amazing support with equipment, but also with personal support. I am really excited to get the 2015 season rolling. We have an amazing squad who is 100 percent committed to giving it our all for the entire season,” Wolfe said. “I am excited to begin my fourth year with California Giant Berry Farms/Specialized in 2015. Last season, I really began to feel competitive in the NRC races so I will be heading into 2015 with a bit more confidence. Next year will be my final season as an Under 23 rider so it’s important to improve over last year and get results to move up to the next level. Anthony runs a really awesome program that puts a big focus on developing young riders so they can make that leap and I am very happy to be a part of it again. It’s nice to go into my final year knowing how the team operates so there will be no adjustments to be made and I hope to be able to help some of the new additions to the team,” Philipp noted. The California Giant Berry Farms/Specialized will gather for a mini-camp in December and a training camp in mid-February 2015. California Giant Berry Farms continues to believe in the value of supporting programs like this that clearly show the importance and the positive results of living a healthy lifestyle including and healthy fresh products like California Giant berries. Team members rely on the company’s fresh berries as a recovery fruit after long training rides and races during the season. Additionally the company has experienced long standing consumer support of their brand as a result of sponsoring cycling for so many years. 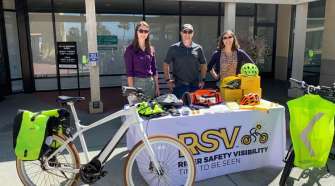 Research continues to show that cycling enthusiasts, which are families with higher education living active lifestyles, strongly support brands that sponsor the sport.